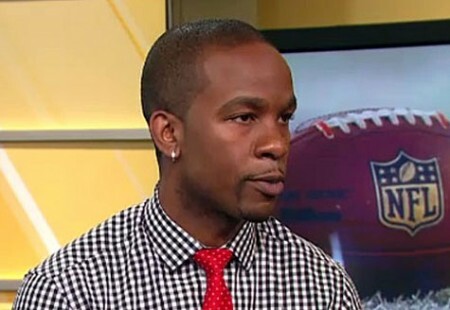 Former pro football player Wade Davis publicly announced this week that he is gay. The 34-year-old corner back who played with Tennessee Titans, the Seattle Seahawks, and the Washington Redskins spoke with Outsports and SB Nation about being a gay athlete and his current work with disenfranchised lesbian, gay, bisexual, trans, questioning, and non-conforming youth. While close friends of Davis, and of course the men he has dated, have known for years that the retired player is gay, his former teammates had been unaware. Davis tells Outsports, “you just want to be one of the guys, and you don’t want to lose that sense of family.” He adds, “it’s not that they’d like me less, it’s that they have to protect their own brand.” The brand and his teammates would have been affected, Davis thinks, by “the perception that being gay makes me less masculine,” he tells SB Nation. During his stint as a free agent rookie with the Titans in 2000, Davis’ teammates suggested he stay away from a player who was thought to be bisexual, lest it hurt Davis’ chance of making the team. Davis’ announcement comes shortly after Kearse and several other NFL players said that a teammate’s sexual orientation would mostly be a nonissue, especially compared to athletic ability or the spirit of brotherhood. Along with Kearse’s sentiments, the NFL’s climate of acceptance seems to be continuously growing.